NASA suggests earthlings will just have to peer up into the sky to enjoy the sight of Mars in a matter of weeks. 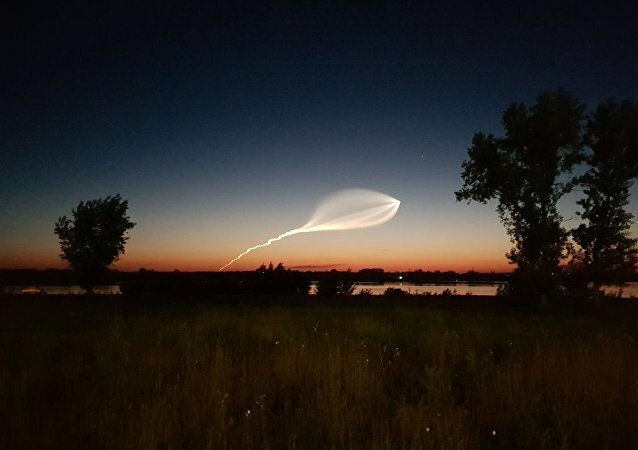 The launch of the Russian Soyuz-2.1b rocket, which recently carried a navigation satellite into orbit, had lit up the night sky in central Russia with unusual figures and made some social media users mention extraterrestrials. MOSCOW (Sputnik) - Russia launched a Soyuz-2.1b carrier rocket from the Plesetsk space center on Sunday to orbit a Glonass-M satellite, the Russian Defense Ministry said.